Poured from a 0.5 liter bottle into my nonic imperial pint glass. 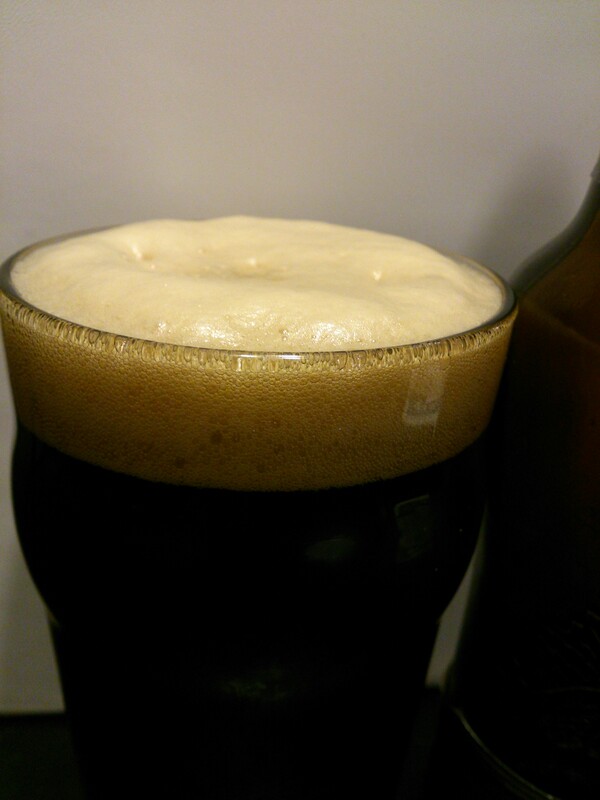 This beer pours nearly black, with a dark ruby red letting some light through around the edges. The khaki colored head is dense and foamy, and settles into a thin layer that lingers throughout. All of the scents coming from this beer are light, nothing substantial being offered. In order: sweet malts, lactose, dark fruits, cola. The first mouthful I got was an almost unbearable metallic-like taste. 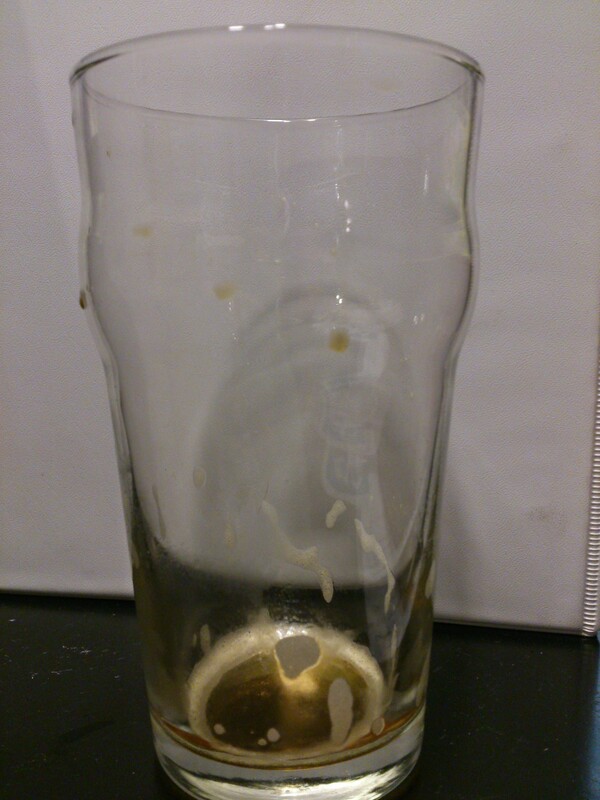 The second sip had less, and after a few more it was pretty much gone. Not too sure what that’s all about. Moving on…the flavor follows the nose pretty accurately. Slightly sweet/roasted malts and lactose. I don’t get any chocolate flavor, as many of the reviewers on Beer Advocate say they are getting. There is also no discernible alcohol flavor, somewhat impressive at 7% considering the other flavors are not bold in any way. 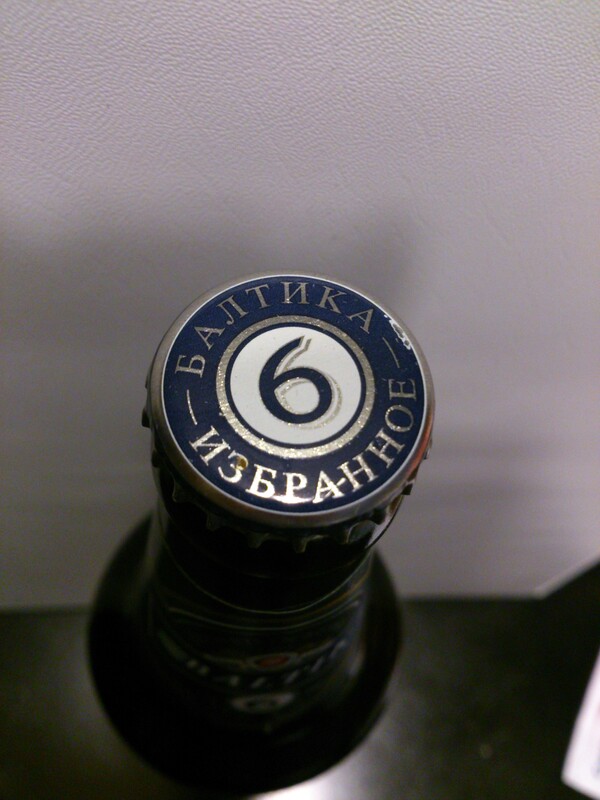 Baltika #6 is my first actual Russian beer (made in Russia). The bottle I got was brewed in December, with a one year bottle freshness date. That means that I likely got the proper representation that this beer has to offer, and I am sadly unimpressed. All the beer’s flavors are slightly off from the style, and that makes them blend together poorly. While not undrinkable, I won’t be reaching for another bottle any time soon. 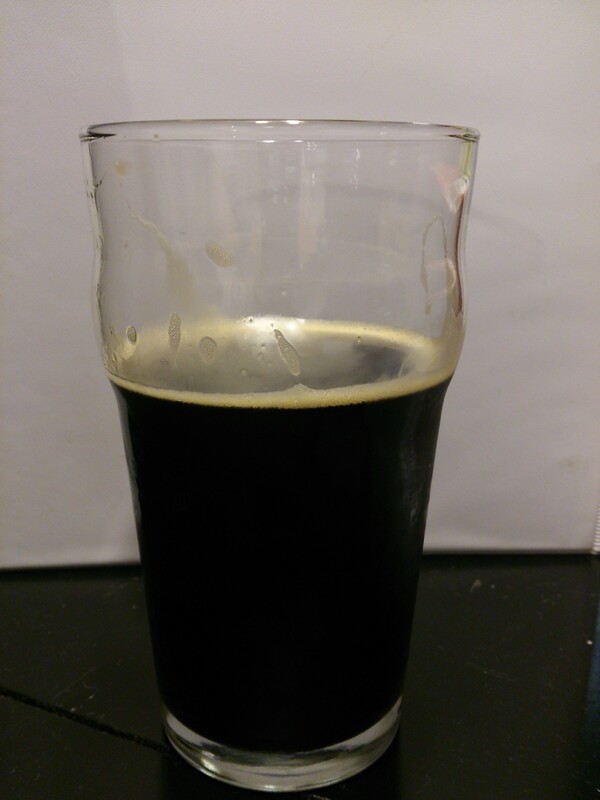 If you are looking for a good porter, keep looking. 3/10.